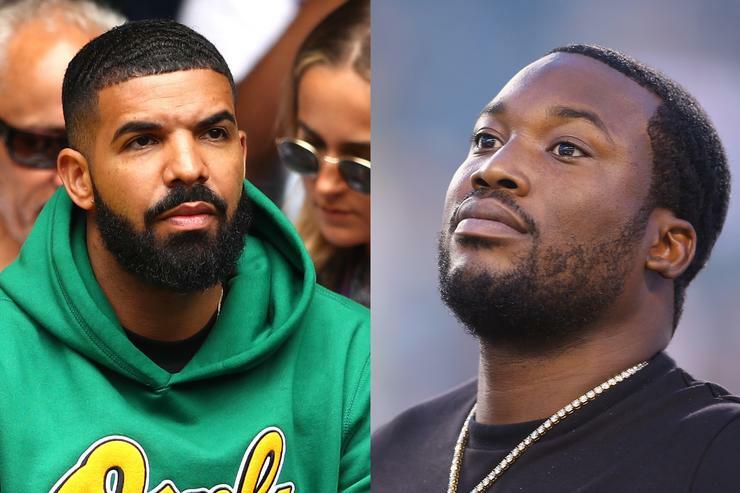 It’s been a slew of back to back videos since Meek Mill dropped his chart topping album Championships late last year and it looks like there’s no signs of slowing down. Having rekindled hs friendship with Drake since feuding, the monster collaboration was a big nod for many but now we are treated to some even more monster visuals for “Going Bad“. Shot in Los Angeles, the Kid Art-directed clip finds Meek and Drizzy flaunting their baller lifestyles. iF they are not racing through the streets in Phantoms before eventually crashing into each other then they are betting big money on horses. Both heavyweights also suit up while leading a mob of men, which includes T.I., Nipsey Hussle, Swizz Beatz, Mustard, J Prince and Shy Glizzy. Both are gearing up for tours. Meek will kick off his ‘Motivation Tour’ on February 19 in Miami with special guests Lil Durk and Kash Doll, while Drake’s ‘Assassination Vacation Tour’ with Tory Lanez launches March 10 in Manchester, UK.